Sunday Sevens is a weekly blog series whereby you show, in pictures, what you’ve been up to outside the blog. To find out more, and how YOU can join in, visit this post by Nat over at Threads & Bobbins. 1. 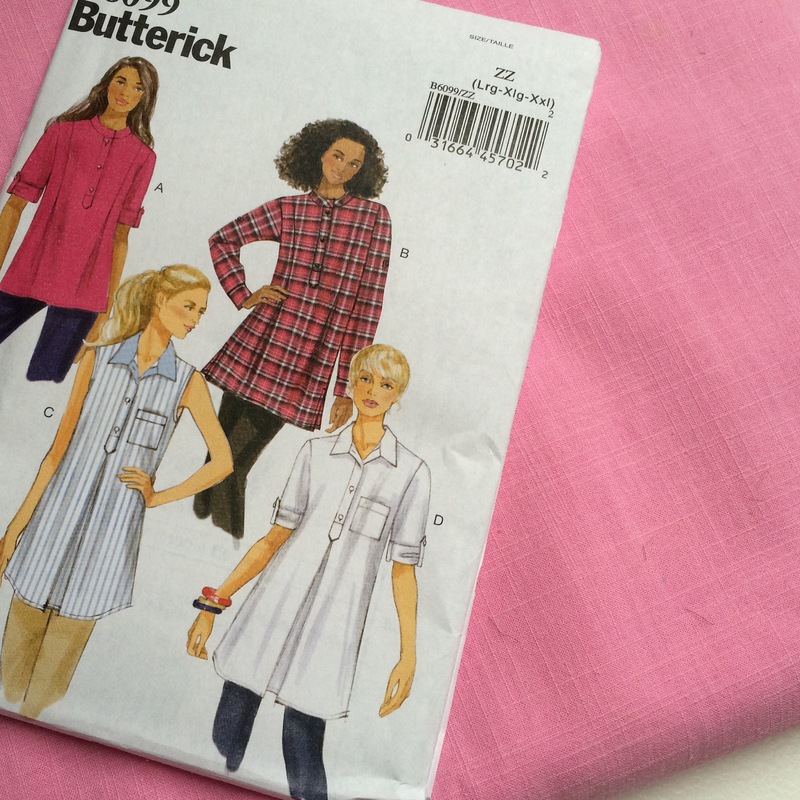 This month’s Minerva Crafts post is a tunic in pink linen mix. I’m making view ‘D’. 2. One of my less confident students finished this pretty square necked blouse. She did a brilliant job which should boost her confidence no end! 3. 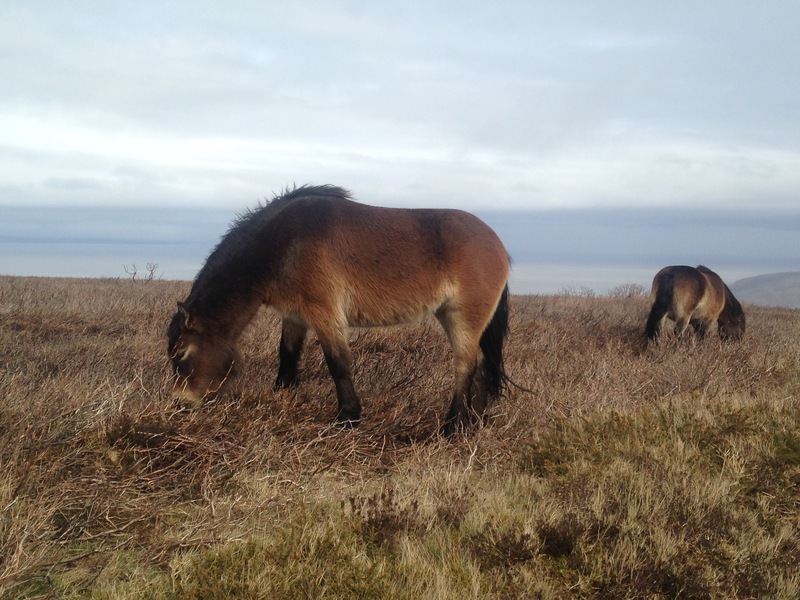 We went to my favourite place in the world, Exmoor, and I snapped these wild ponies as we drove down Porlock Hill. 4. 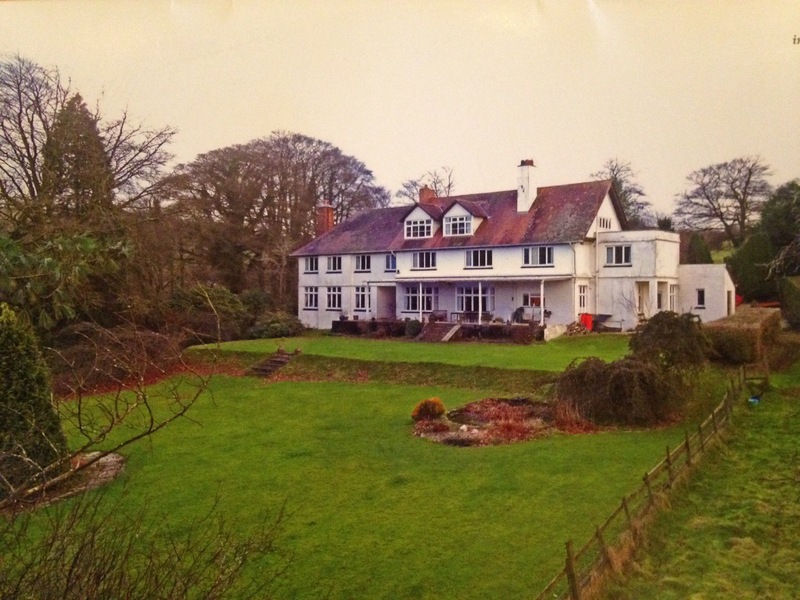 This is one of the B&Bs that we viewed on Exmoor – a long held dream which we are looking to realise in the near future. 5. 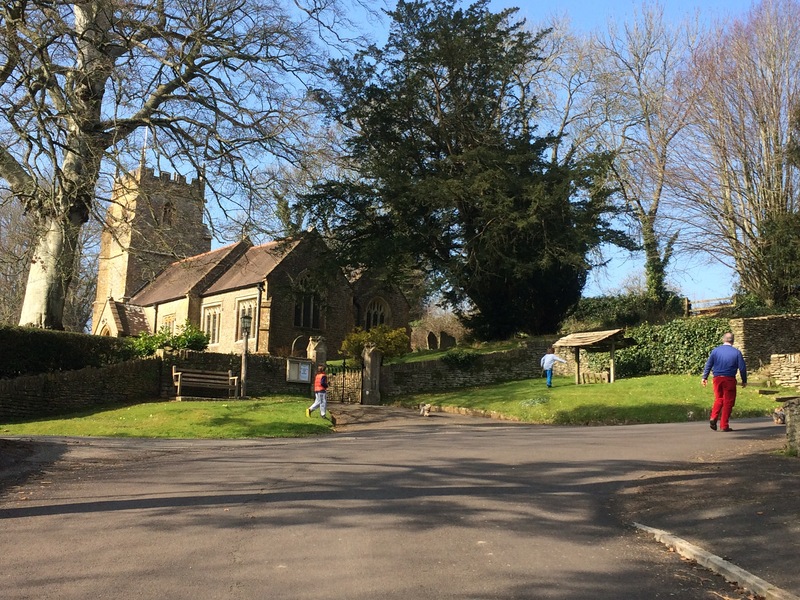 A cloudless sky made for a stunning day for a walk with The Boys and Mr H-L.
6. 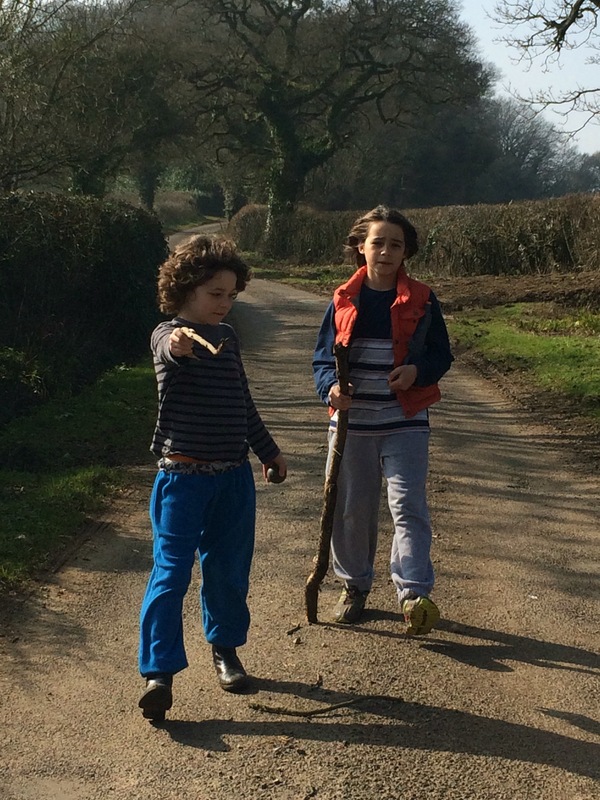 More imaginative boy-play with sticks found en route. 7. The first bluebells are blooming! 8. The aftermath of Saturday night’s dinner party – washing up left ’til the next morning. Don’t you just hate getting up to that? 9. I didn’t have to do it though, because the Birthday Girl gets a day off! 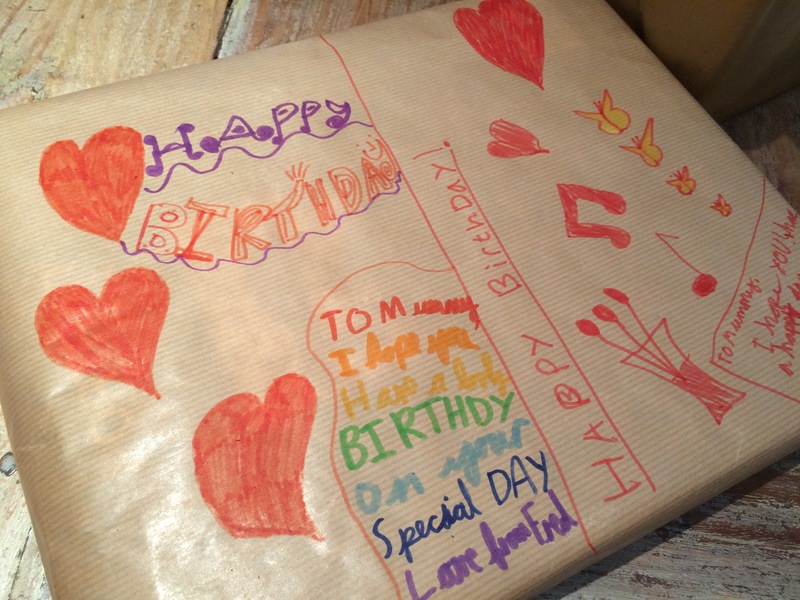 The Boys made their own wrapping paper for my present. 10. 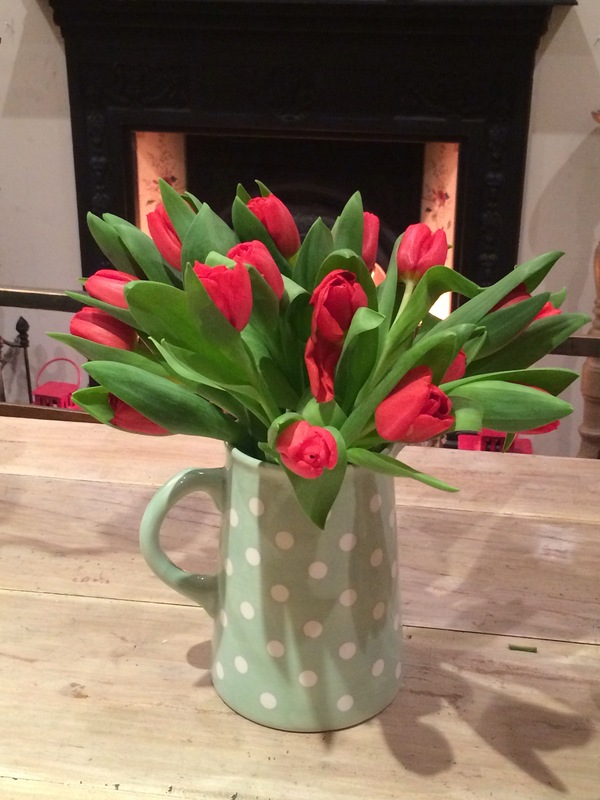 Tulips – my favourite Spring flower. 11. A walk ended up in our local pub where I was ‘treated’ to a bowl of chips! 12. No. 1 Son has sanded and primed the lovely sewing table that he bought me for Mother’s Day. Painting will ensue shortly…..
A B & B in Exmoor sounds like a wonderful dream – about to come reality too by the sounds of it. No wonder you’re smiling. We’ve had problems on Porlock and Countisbury Hill at Lynmouth in the past. I remember coasting down backwards because my car wouldn’t climb it years ago! You can probably laugh about it now but it must have been scary at the time! 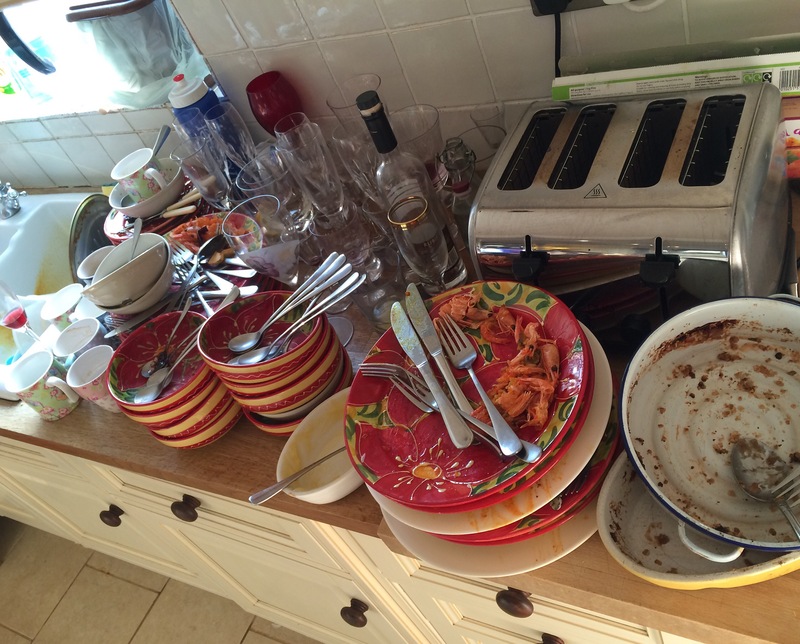 Our washing up pile looks like that and we went out for dinner this weekend … ooops! But yay to not having to do it yourself. I was so glad not to have to wash up the next morning, I can tell you! There isn’t a dishwasher big enough for that lot, lol. When we’re up and running, I’ll let you know! That B&B will probably be sold by the time we’re in a position to move but, funnily enough, I had thought about doing sewing retreats. Can you imagine the fun we’d have?! ohhh now that is an idea. 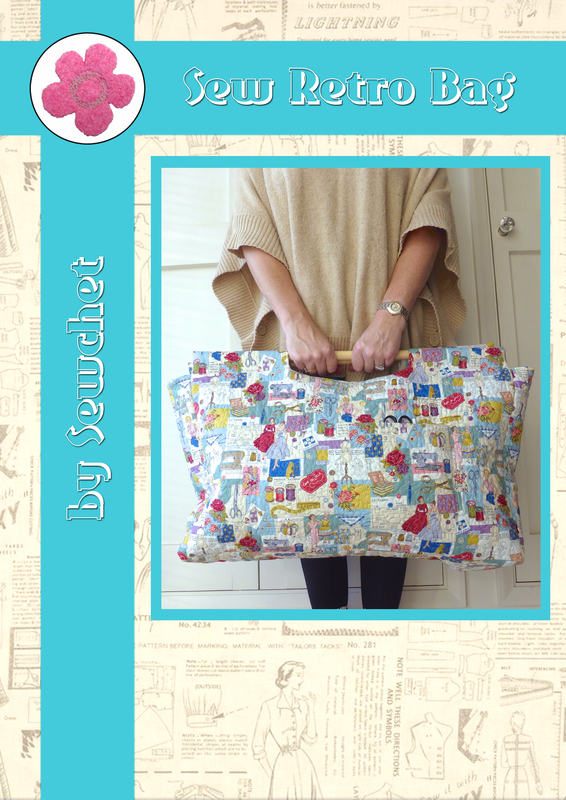 I’ll definitely come along to a sewing retreat – utter bliss! Late again… Happy Birthday Sheila. I hope you had a great day, Your little students shirt is cute as a button. I can’t wait to see yours all finished. Your gift from #1 son will turn out beautiful I am sure when he is finished. Hug the kiddos for me. I have missed you. I will send you an email to show you the tattoo my son bought me for mothers day. He such a sweetheart. Thanks Robin and thanks for the email – the heart tattoo is certainly a personal gift, especially with that meaning behind it. 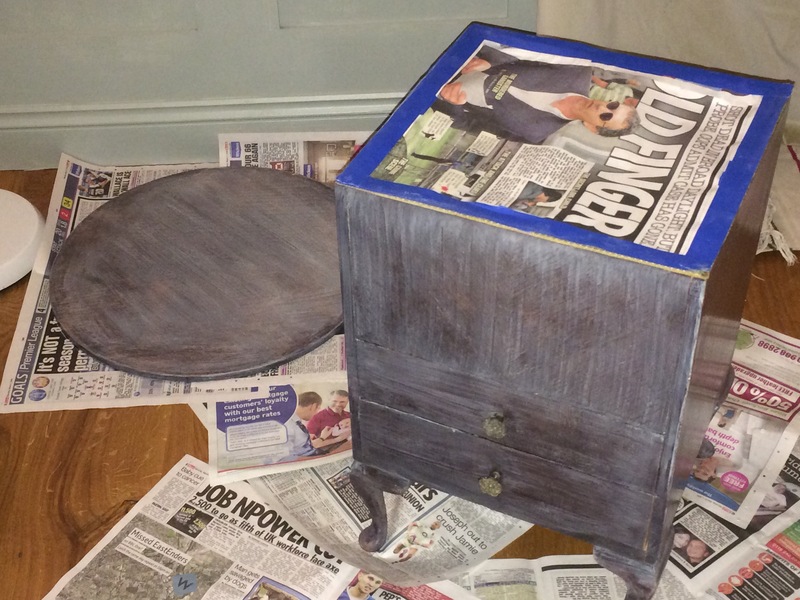 The sewing box has been painted but it needs a little something else, maybe a touch of gold leaf or something. Not sure yet, but I love it! Wonderful photos of your Spring. And Happy Birthday!!! Sounds like exciting things in your future. A very Happy Birthday for yesterday! I cant think of anything better than a bowl of hot chips! A super happy birthday! As a mom of 3 teenage girls, I really love your custom-made wrapping paper. And the bluebells! Thanks, my birthday seemed to throw us the first day of Spring like weather and we and the most of it. When we get a B&B, I’ll definitely do residential courses and it would be amazing to have some bloggers come down! Happy birthday, the b&b looks wonderful. Bluebells? Our daffodils have only just flowered! Super week. 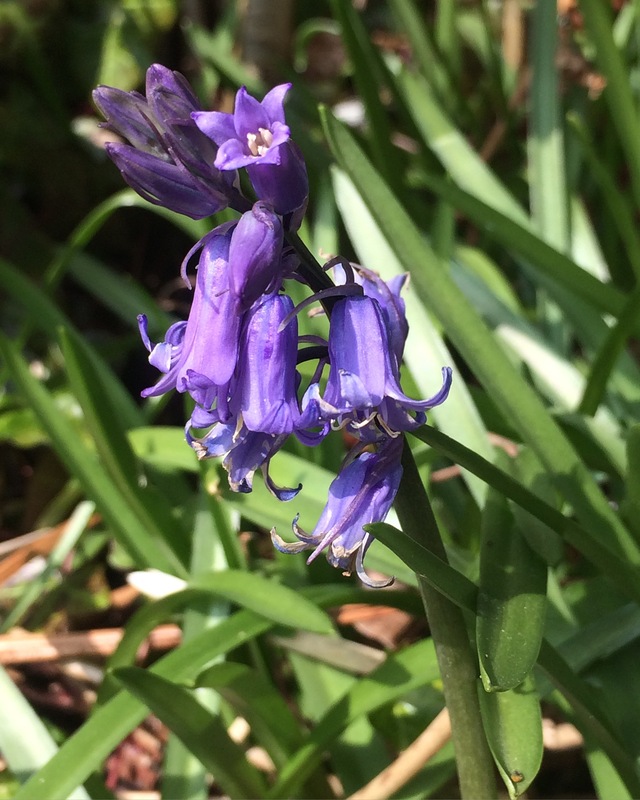 Thanks Cathy, the bluebells are all coming out now – they’re such a pretty sight, aren’t they? Hi, I’m a first time visitor, (arrived through Feedspot) and I enjoyed my visit. Thanks for sharing, and a belated HAPPY BIRTHDAY! I had a brilliant birthday, thanks Camilla, and the bluebells topped it off a treat. Exmoor has been my favourite place since we started camping there as children and I’ve always dreamt of running a B&B there one day. Happy Birthday Sheila, looks like you had a good one. Exmoor is such a beautiful place, those pictures are balm for the soul. Thanks Annie, it was great and the visit to Exmoor looking for suitable b&bs was a bonus – it’s the best place on the planet! Thanks Del – looks like I’m going to have to do sewing retreats if the response I’ve had is anything to go by! Hope you had an absolutely wonderful birthday. Its so beautiful and I just love the ponies as well. They look like they just want to share hugs. Gorgeous B&B! Wow. So happy to see all the Spring flowers out your way. Fall is not here yet, its still all very green, but it wont be long now. Keeping an eye on the sewing table, I just know its going to be stunning. Have a great week. Enjoy Spring!! I had a fabulous birthday, thanks Joey, and Exmoor is stunning – we can’t wait to move there. The sewing table has had a makeover but I still think something’s missing – a bit of gold paint maybe? I bit of gold has never harmed anything. 🙂 Maybe some dry-brushing to highlight some areas. Have fun!! Happy Birthday! And yay to not having to do all of that washing up 🙂 That B&B, wow…good luck with your exciting venture! Thanks, the B&B won’t be for a year or so at the earliest, bu you’ve got to start somewhere! You dream of a B&B too? Wow, great minds and all that! Do you think you will one day? 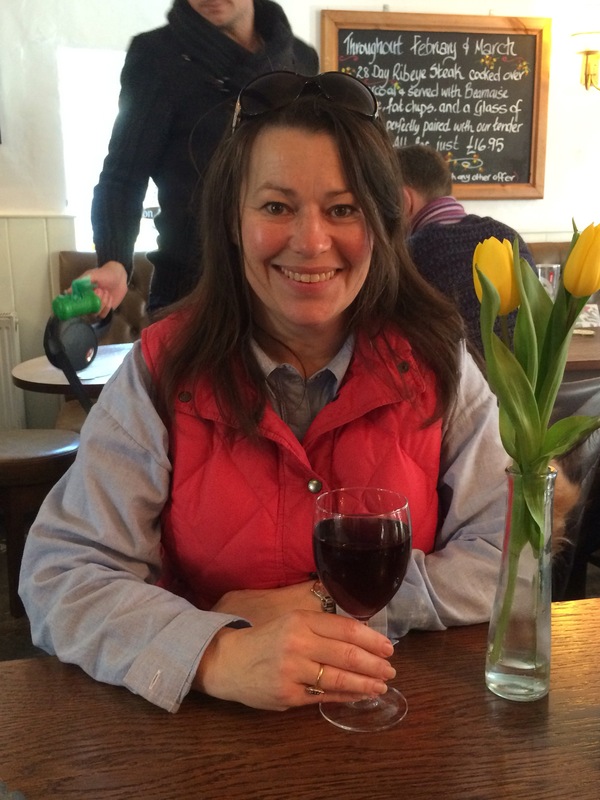 Obviously, as we’re nearly fifty, it’s the kind of thing lots of people want to do at our age and I hope we can find the right place at the right time. You’ll want to have a family first, presumably, and make the change when you’re our age. America or England….? Belated birthday wishes to you! That B&B looks beautiful how exciting that you could fulfill such an exciting dream :-). 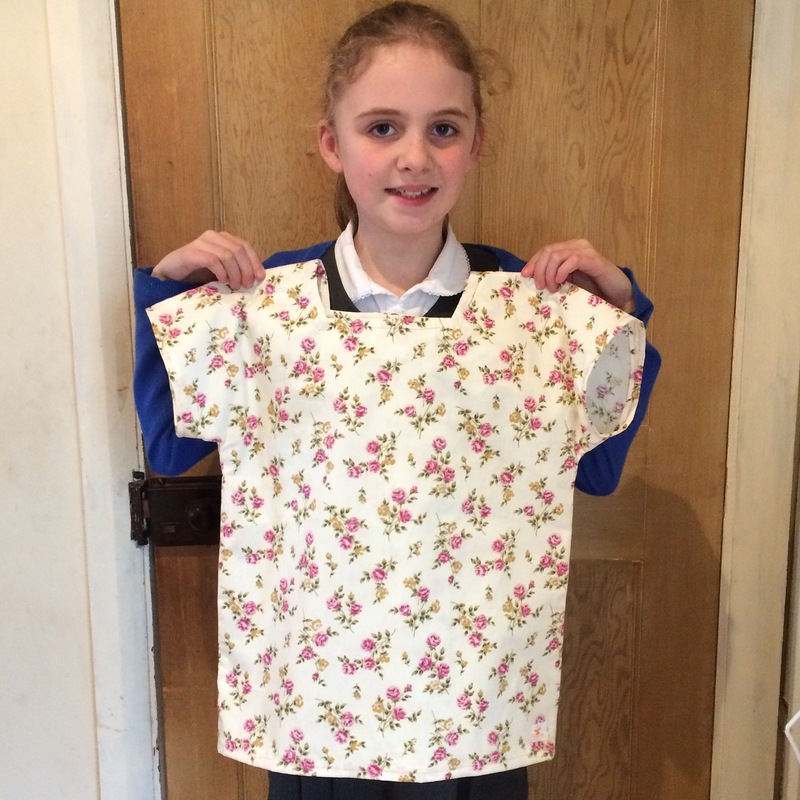 Your pupil’s blouse is fab, she’s right to feel proud! So great to see your student’s fabulous top. Building her confidence and her skills are wonderful gifts that she will carry through her life. 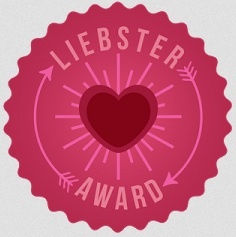 Well done you! Exmoor is beautiful, but I’m thinking you should really be buying a B&B on Dartmoor. If you open that B&B, I will come all the way from Toronto to visit 🙂 Good luck and keep us posted.